A natural jewel, with a wooden pendant from the Bursera graveolens tree. A gift to yourself, to be accompanied by positive vibes and protection for the body and soul. Accompanied by a small vial of essential oil, obtained from steam distillation of the wood. A drop of essential oil is all it takes to renew the scent and the energy of the jewel. 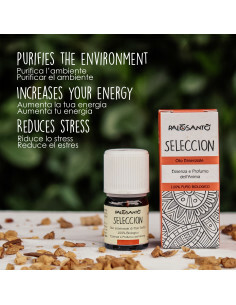 · Its wood is characterised by a strong natural fragrance and has been used since ancient times by indigenous people for its many psycho-physical beneficial properties and as a spiritual remedy to purify the air from bad energy and annoying insects. 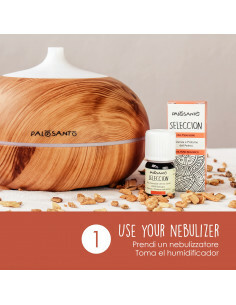 · The range also includes handmade jewellery from the same aromatic wood. A gift to yourself, to be accompanied by positive vibes and protection for the body and soul. 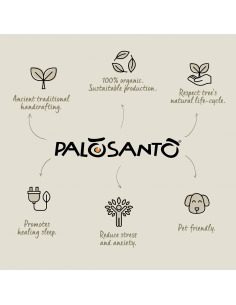 · Enhanced by a small vial of essential oil, obtained from steam distillation of the wood. A drop of essential oil is all it takes to renew the scent and the energy of the jewel.